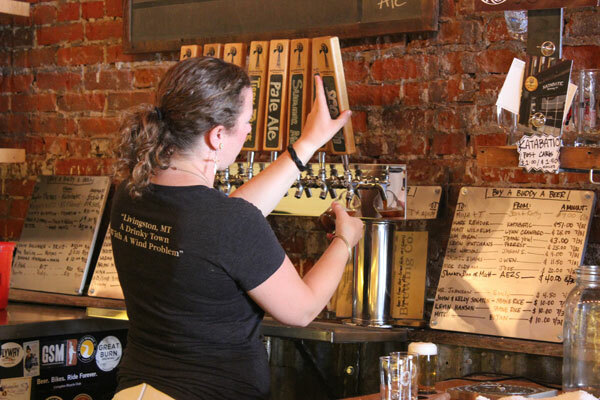 In the small town of Livingston, Montana, lives Katabatic Brewing Company. A newcomer to the brewing industry, LaNette and Brice Jones built their business on a mission to create and provide good, quality beer for their local community. Three years into the game, Katabatic has not only made a name for itself, but has also joined Xanterra’s mission of sustainability, sending their local brews to the park. LaNette recently spoke about her business; what they do, who they are and how they are committed to becoming a stronger, more sustainable business. What do you like about brewing beer? “I like the fun brewing culture. There’s a couple of sides to the coin of the culture and the breweries themselves. It’s a business in which the breweries are very collaborative. We work together really well, we have fun together and I think that’s just completely different. Yes, we’re competition, but not in the same way. We help each other be better and get better as breweries. The other side of the coin are the customers. Brewery customers are always happy and fun. How is your beer made? Why does it matter to you to be sustainable? “We’re very serious about the beer we make; we make good quality beer. We’ve won several awards on all of our beer, but we don’t take ourselves all that seriously. We like to have a lot of fun and we like to be goofy. By sourcing more local products, Xanterra upholds its commitment to maintaining the best sustainable practices. Buying from local business not only helps support local communities, but also offers added benefits like reducing transportation-related emissions, fuel usage and costs. Katabatic’s Hefeweizen can be found in Yellowstone at the Mammoth Hot Springs Hotel and the Old Faithful Inn. 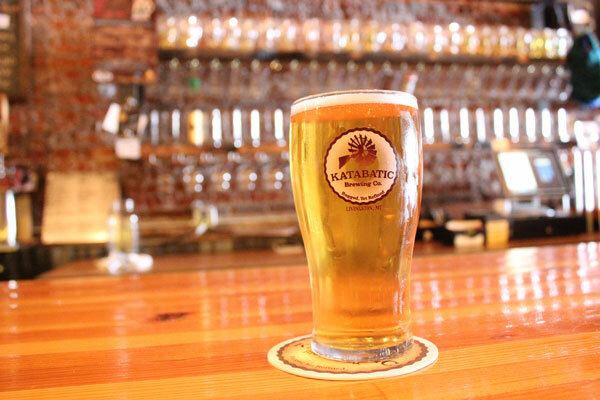 To learn more about the Katabatic Brewery and its beer, please visit their website.